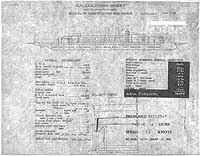 Preliminary design plan for a new battleship. This plan may have been developed to investigate the implications of reducing required speed to a more standard 22 knots in a new capital ship design concept that previously was based upon provision of comparatively high speed (25 knots.) 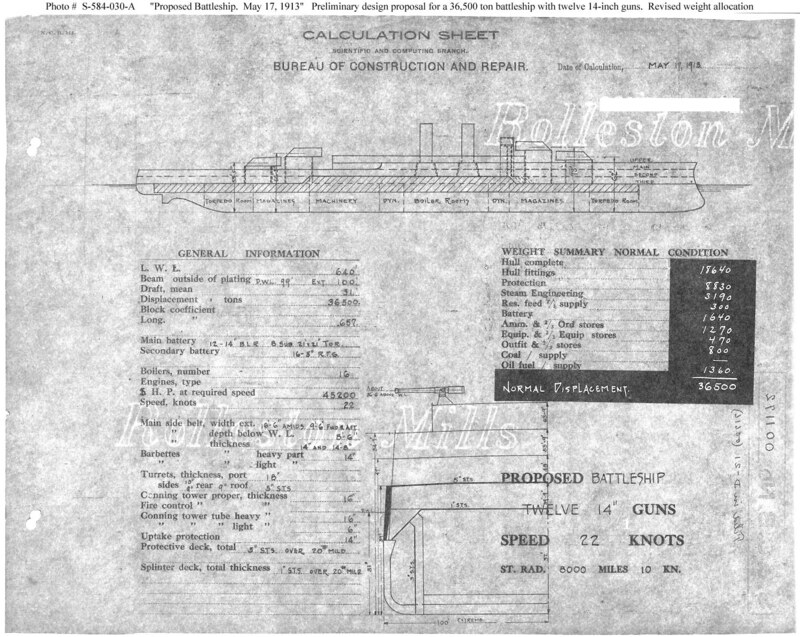 This drawing is identical to Photo # S-584-030 except that the table of vessel component weights at the right is summarized into nine rather than eleven categories.